LifeSong is exercise for the voice that opens you up — physically, emotionally, spiritually — to more fully express the genuine, authentic, multi-faceted you. The two LifeSong programs present opportunities to explore your voice as an instrument of self-healing and life transformation. Groups are kept small so that participants can receive lots of personal attention. Who can benefit from LifeSong? Satisfied LifeSong participants have included university professors, high school dropouts, health professionals — therapists, doctors, chiropractors — lawyers, engineers, scientists, civil servants, clerks, people between jobs, peace activists, members of the armed forces, people in their teens, people in their seventies, professional singers and people who can’t carry a tune in a bucket. In short, LifeSong is for anyone who is willing to explore the creative potential of the personal voice as a means to self discovery and life enrichment. What: LifeSong is an exhilarating, challenging and life-transforming 8-week small group program. Through the free exploration of voice and movement, participants explore the patterns of their own life experience, tell their life stories, and create songs out of the various themes of their lives. For more detail, see the brochure (PDF). The record of a transformative experience typical of LifeSong is available at https://voiceemergent.com/2005/04/01/victim-no-more-a-life-song/. 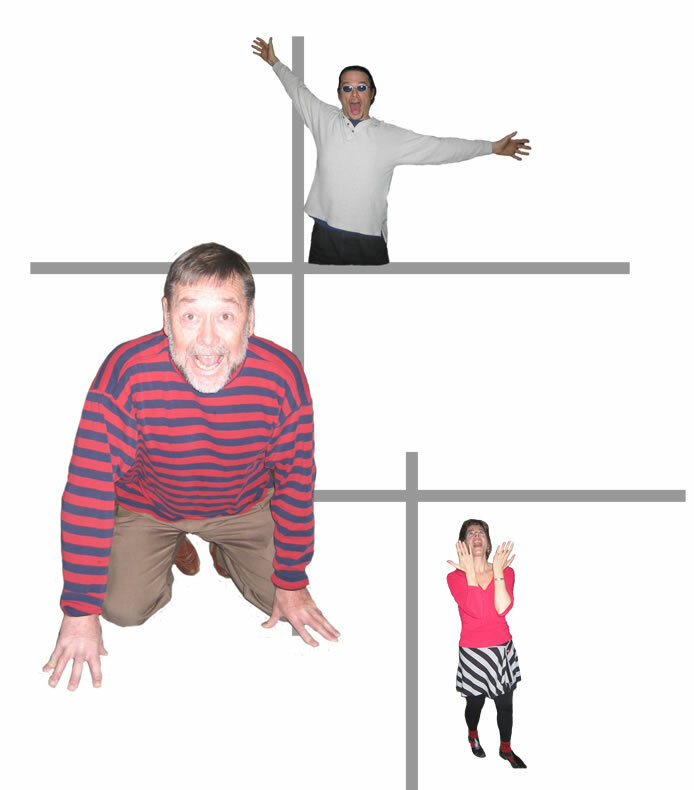 Physical movement – participants use free movement to probe the interconnections between breath, motion, emotion and voice. Autobiography – participants explore the various themes of their lives by singing songs that they have written. 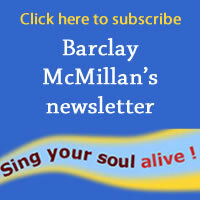 You don’t need to have musical experience to do LifeSong – Barclay will work with you to expand and free your voice. When: LifeSong runs in the Fall, Winter and Spring terms. Usually there is at least one class in each term; when numbers warrant, there could be a second class running in parallel on a different evening. For fuller information contact Barclay. Registration: As the course requires a high level of commitment, participants are admitted only following an interview with the instructor. Barclay generally runs two LifeSong sessions per season. As space sometimes fills up quickly, contact him today for more information. Classes are limited to eight people and are held in Lindsay Hall underneath St Luke’s Church, 7:00–10:00pm. LifeSong has been helping people come alive through their voices since 1996. An article by one of the students of the very first LifeSong class is available at https://voiceemergent.com/1997/03/30/barclay-mcmillan-and-lifesong/. For Dancing Voice, Moving Spirit information, click here. I would also like to know the fee. I am extremely interested! I am very interested in the ten week life song course starting on Monday January 14 but was unable to find any info in the cost to determine if it will be a factor in me pursuing this program. Also because of the stress made on the time and effort committment to the program, I would also like to confirm the dates and time (7 – 10 p.m) for the ten weeks and learn more about the homework requirements. I am in town until December 13th and would be happy to arrange to meet before leaving or upon my return on Dec 27 although that may be too late. Please advise on the amount of time needed for the interview. I look forward to hearing back fromm you. I would like to set up a time to meet regarding the upcoming September 20th session. I welcome this opportunity and look forward to connecting. I’m interested in this program, which I understand is starting in September. Please let me know dates, location, time and fees. I would like to talk with you about registering for your class.